PAI members Burley Browne have confirmed the letting of 30 High Street, Brownhills, Walsall to John Taylor Hospice. The retail property was refurbished in 2018 to include LED lighting, a new glazed shop front, roller shutter and suspended ceiling. The property is situated in a prominent position with neighbouring occupiers including Card Factory, Specsavers, St Giles, Wilko and Tesco. 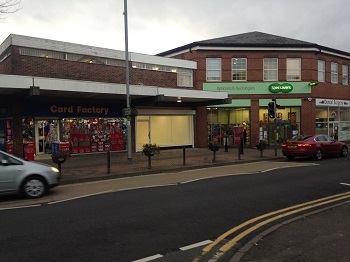 Steven Hannaford, Surveyor at Burley Browne commented "The Brownhills High Street has experienced some decline recently however the letting to John Taylor Hospice coupled with the proposed redevelopment of the Ravenscourt Centre demonstrate that Brownhills is still a popular destination."